Robust, long-living and fail-safe: Our Fanless Servers are the smart choice for all those who doesn't want to exchange serverhardware every 2 years. 2U HighEnd 19" Industrial rugged Server for CPU- and GPU- hungry applications, like machine vision or virtualisation. 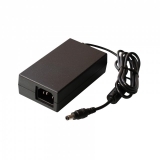 The system can be equipped with either one PCI or PCIe slot and works under nearly any OS. 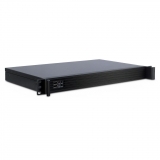 Fanless 3U HighEnd 19" Industrial rugged Server for highest demands. Optional available with nVidia Quadro graphics. There are many configuration- and expansion options and it runs nearly any OS. Cost-effective short rack 19" 1U industrial server / IPC. The modular approach allows to use the system as front-IO or back-IO variant. In addion, the very compact systems offers one full - size PCI slot. The larger brother of I1U1000 offers Core i - power, more options and USB 3.1. Up to 3 PCI and/or PCIe cards can be used with this industrial server.